World Superbike champion Jonathan Rea qualified eighth fastest for the opening race at Assen on his Kawasaki. The race had been due to start at 13:00 BST but after some light snow showers, a short delay followed before a new start time of 13:28 BST was announced. However, as the riders began to form on the grid, the heavens opened and the legendary Dutch TT circuit was lashed by heavy snow and hailstones. 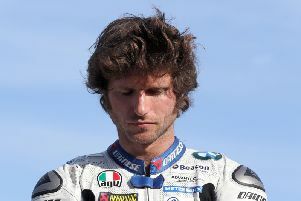 Cold temperatures of only three degrees Celsius have also added to the issues facing the riders. At 13:42 BST, the organisers confirmed race one had been cancelled. In a revised schedule for Sunday, the Superpole sprint race has been scrapped, and the two full-distance WSBK races are scheduled for 10:00 BST and 13:00 BST. Grid positions for both will be based on Saturday's Superpole qualifying session. 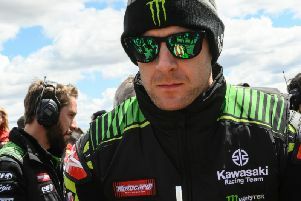 World Superbike champion Jonathan Rea said: "Unfortunately we haven’t been able to get a race today after Race Direction cancelled the race due to the weather conditions. Of course, they were very extreme conditions with sleet and snow but I feel for all the fans out here that came and didn’t really get to see a race. "The track temperature was in a decent ballpark to go and at least try in the wet but let’s see the race schedule tomorrow. I feel really strong with the bike, the team has given me a good set-up and this morning was confirmation of this. Championship leader Alvaro Bautista qualified on pole position on his Aruba.it Ducati on Saturday morning. The Spanish rider had just set his fastest time after fitting a qualifying tyre when the session was red-flagged. Many of his key rivals, including Northern Ireland’s Jonathan Rea, missed out on the chance to post a final fast time on a qualifying tyre. As a result, reigning champion and Kawasaki star Rea qualified in eighth place. Rea is aiming to close the gap to Bautista this weekend, who has won all nine races so far to open a cushion of 39 points at the top. Toome’s Eugene Laverty was 13th on the Team Go Eleven Ducati.